Filmed over 5 years, this touching film chronicles both the ups and downs of a classic Doo Wop group from Brooklyn and the universal story of mens’ aging and remorse for vigorous lives and careers past. A feature documentary that celebrates Doo Wop music and the legendary singers of the 50’s and 60’s who sang on the street corners of Brooklyn and made group harmony singing famous. Kenny Vance, founder of Jay and the Americans, is our guide. He visits with some of the mythic singers whose music he grew up loving. ​We meet these legends today as they reminisce with Kenny and yes they sing together in scenes that will raise the hairs on the back of your neck. They still have the poignancy and just plain soulfulness that always separated them from the pack and that makes their music timeless. Some of the artists you’ll meet today and who sing with Kenny are Little Anthony and the Imperials, Eugene Pitt of the Jive 5, Pookie Hudson of The Spaniels, Cleveland Still of The Dubs, Charlie Thomas of The Drifters and Kenny’s old partner, Jay Black of Jay and the Americans who sings his hit, Cara Mia with Kenny’s new group The Planotones. This delicious film takes you back to Brooklyn and Philly where the doo wop sounds began. You meet the characters of those days and the heart quickens with youthful memories of a first kiss, and first love. Kenny’s struggles to hold this group together are woven through Feelin’ No Pain. As his brother Ronny says in an interview, at 50 years old Kenny had a bodily attack of needing to sing again and The Planotones is the result. ​This is Kenny’s effort to honor the oldies Doo Wop music that he loves and to bring it to audiences who still go crazy for this music. 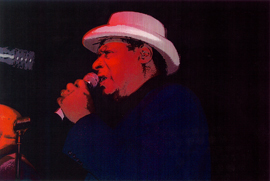 In the beginning The Planotones are his hand-picked choice of aging singers from Brooklyn who are from that era and they have a soulfulness that brings this music to life. They sing it the way it was meant to be sung. Woven through the film are songs from a live concert The Planotones recorded for an album at New York’s Bitter End. These are quintessential performances from the original days of The Planotones. Shot over 5 years, Feelin’ No Pain follows Kenny’s struggle to hold the band together. He finds that the economics of making ends meet for an oldies band and the grind of the road are hard masters and holding his singers together is a real struggle. But Kenny’s dream fuels him. The Planotones personnel changes as the film goes on but, with Kenny’s vision and artistic purity, the sound of Doo Wop continues to be heard. When Kenny Vance started talking about creating a new band at 50, people said: "You're too old." "You're wasting your money." "There's too much competition." "Don't do it." But he did it anyway and that reminds us that the highest joy in life comes from staying true to yourself and finding the courage to live your dream. Feelin’ No Pain is about this singer's journey to live that dream. As a teenager from Brooklyn growing up in the conservative 50's, Kenny Vance felt disconnected from his parents and stifled by the rigid social expectations of the time. There wasn't much room to push, much less rebel and grow, so teens like Kenny, who wanted something different, were instantly drawn to the emerging sound of Rock and Roll and claimed it as their own. 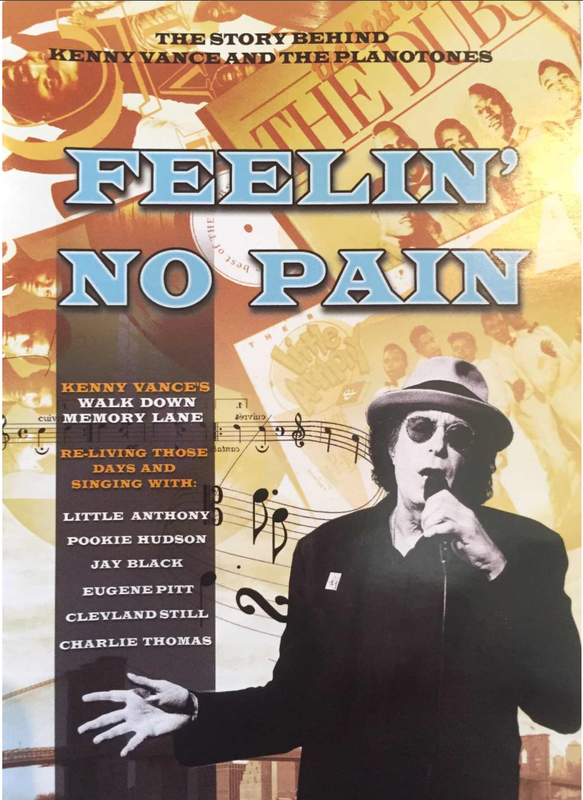 Feelin’ No Pain is about that time, remembered and kept alive by Kenny. It's about kids who heard the early call of Rock and Roll and huddled in hallways, subways and bathrooms; singing together to hear the sound of their voices echoing back in perfect harmony. 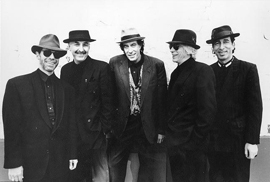 For Kenny, who formed Jay and the Americans with his friends in 1961, the sound of doo-wop brought the excitement and the sense of freedom he had always craved. Kenny is a whimsical guide into those days. Stories come to life as Kenny hooks up to talk and riff and sing with oldie legends like Eugene Pitt of the Jive 5, Pookie Hudson and The Spaniels, Little Anthony and the Imperials, Charley Thomas of The Drifters, Jay Black from Jay and the Americans.